Obtaining commitments from public and private sources for supportive services to provide resources and services to families living in public housing are areas that the Housing Authority of the City of Yuma thrive to assist you. Community Service Specialist link residents to opportunities for education, job training, counseling, and other forms of social service assistance, while living in assisted housing, so that you may obtain the education, employment, business and social skills necessary to achieve self-sufficiency. Contact Sonia Bautista at (928) 782-3823 Ext. 130 to schedule your appointment today or for further information. The Housing Authority of the City of Yuma (HACY) would like to assist you on your journey toward self-sufficiency, and assist development by providing you information on current job opportunities which are listed below. Current job openings at Arizona connection. Please see our Home Page for current jobs and events. ARIZONA@WORK offers innovative solutions including career counseling, resume building, interviewing preparation, and a data base of current openings. Your goodwill supports no-cost career center in Yuma. 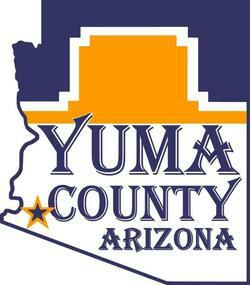 At the Yuma career centers, job seekers can develop their interview skills, work closely with an advisor, and meet directly with hiring employers. Last year, we placed more than 44,000 people to jobs with hundreds of Arizona employers. Your great “finds” at our stores make a positive impact in your community. Keep up the good work! We connect you with skills and education you need to get the career you want! 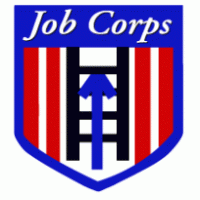 Job Corps! PPEP operates a variety of educational, behavioral health, human services, and employment and training programs for both Youth and Adults. One of its divisions, called Encompass, provides services for people with disabilities. There is also a financial division, called PPEP Micro business & Housing Development Corporation (PMHDC). Through PMHDC, PPEP provides not only financial services to American small business-owners, but to businesses in the global market as well. Cenpatico Integrated Care is a new company that joins the best programs and services of two companies. Cenpatico Behavior Health and University of Arizona Health Network. WACOG is a governmental non-profit that is dedicated to serving its local jurisdictions, income challenged households, and vulnerable populations in Yuma, La Paz, and Mohave Counties.